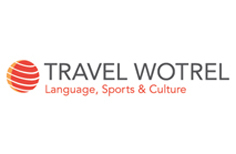 Please find below a selection of possible trips and excursions to Haridwar, an hour’s drive from Rishikesh. 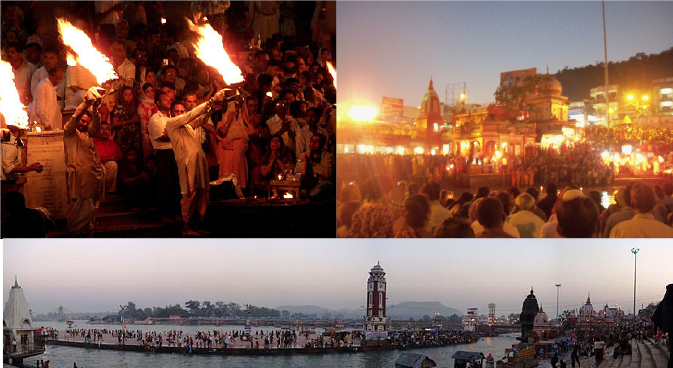 The district of Haridwar, on the Western side of Uttarakhand, has a rich ancient religious and cultural heritage. There are lush green forests, ponds and river streams that add to the scenic beauty of this holy land. The city of Haridwar is located right on the banks of the sacred Ganga and it belongs amongst the seven sacred cities of India. Apart from being home to uncountable temples and ashrams, it is also one of the four venues for the Kumbh Mela, held every 12 years. A Hindu temple dedicated to Goddess Chandi Devi in the holy city of Haridwar in the Uttarakhand state of India. The temple is situated atop the Neel Parvat on the Eastern summit of the Sivalik Hills, the southernmost mountain chain of the Himalayas. Chandi Devi Temple was built in 1929 by Suchat Singh in his reign as the King of Kashmir. However, the main murti of Chandi Devi at the temple is said to have been installed in the 8th century by Adi Shankaracharya. Goddess Chandi also known as Chandika is the presiding deity of the temple. The temple is one of the most ancient temples of India. Thousands of devotees flock to the temple, especially during the festivals of Chandi Chaudas and Navratra and the Kumbha Mela in Haridwar, to seek the blessings of the goddesses who is believed to fulfill their wishes. The Temple is located at a distance of 4 km from Har ki Pauri. To reach the temple one has to either follow the three kilometre trekking route from Chandighat and reach the shrine by climbing a number of steps or climb the recently introduced rope-way (cable car) service. Situated atop the Bilwa Parvat on the Sivalik Hills in the holy city of Hardwar, this ancient temple is dedicated to goddess Mansa. 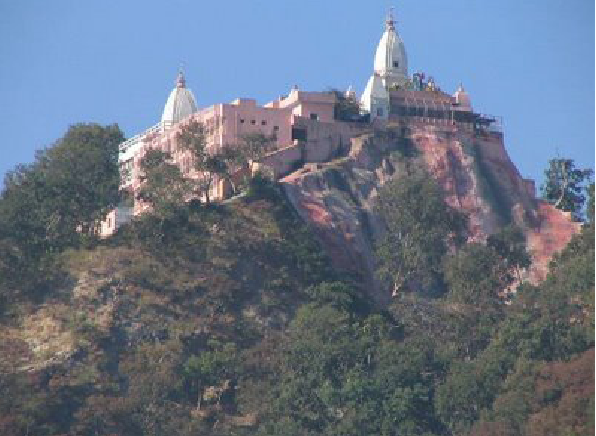 Also known as Bilwa Tirth it is one of the Panch Tirth (Five Pilgrimages) within Haridwar. Goddess Mansa Devi, wife of the Nag King Vasuki, is believed to complete the wishes of devotees visiting her temple. The term Mansa means wish and it is believed that the goddess fulfils all the wishes of a sincere devotee. Maya Devi Temple in Haridwar is one of the Siddhapeeths of Haridwar and a vertex of the Siddhapeeth triangle formed between Mansa Devi, Chandi Devi and Maya Devi temple. This temple dates back to the 11th century. 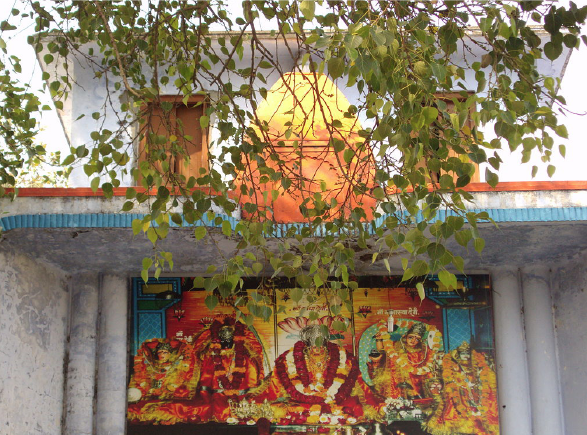 It is believed that the heart and navel of Goddess Sati, first wife of Lord Shiva, fell in the premises of this very old temple (Shaktipeet) located East of Har-Ki-Pauri. 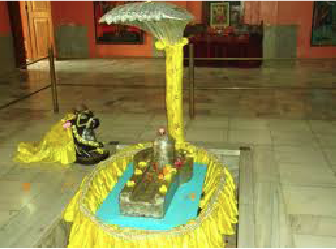 This famous Parad Shivling (Mercury Shivling) located in Harihar ashram in Kankhal. The words ‘Parad Shivling’ have been derived from ‘parad’ (meaning mercury) and ‘shivalinga’ (a sacred symbol of Lord Shiva). That’s why, the Parad Shivling is also sometimes referred to as the Mercury Shivalinga. Among other holy sites of Pilgrimage in Haridwar, this shivlingam has a lot of religious significance. 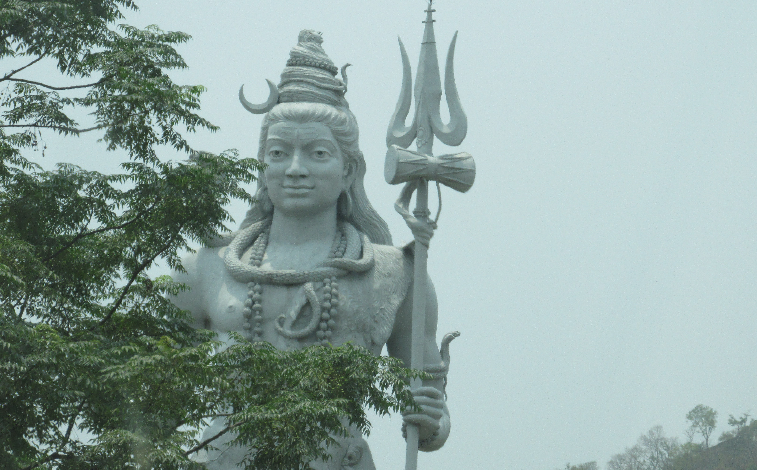 Devotees mainly visit the Parad Shivling to get blessed by Lord Shiva. Though the shivlingam is the major attraction here, visitors also view the Rudrakhsha tree which has stood here for many years. Hindus believe that rudraksha (the seeds of the holy tree) can heal a wide range of ailments. The weight of shivling is about 150kg. Kankhal is a small colony situated in Haridwar which is famous for its Daksheswara Mahadev temple, Shri Anandamayi Ma mahasamadhi, Parad Shivling and Patanjali Yog Peeth. 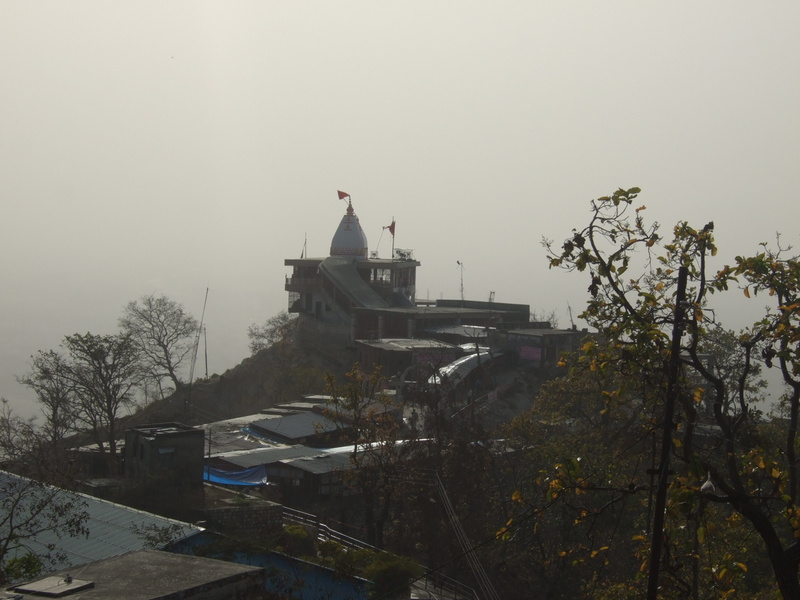 The mythological story about the Daksheswara Mahadev temple is that King Daksha Prajapati, the father of Sati, Lord Shiva ‘s first wife, performed yagya at this place (see > Destinations > Rishikesh > Kunjapuri for complete legend). 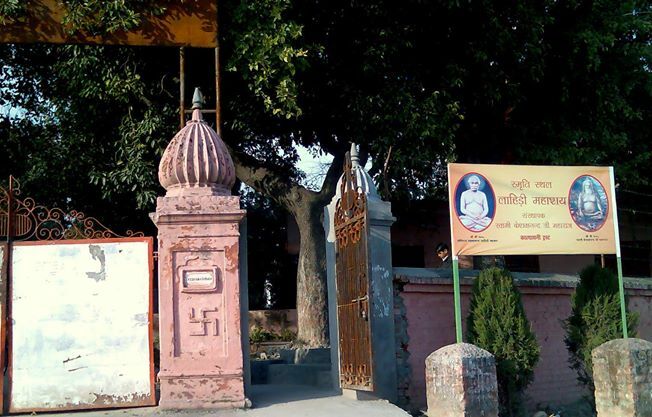 Anandamoyi Ma Ashram is a quaint ashram that was the residence of this Hindu saint (1896–1982). It also houses her samādhi shrine and a museum dedicated to her. Apart from being home various temples and ashrams, Kankhal also has numerous old havelis (mansions), which attract visitors on heritage tours. 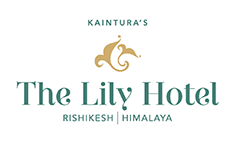 Mostly built in the previous century, those buildings are known for their frescoes and haveli architecture, built by princely families and zamindars (aristocrats) for their stay during summer months. This is the ashram, where you can find the Mahasamadhi temple of Kriya Yoga Master Lahiri Mahasaya (1828-1895). He was the disciple of Mahavatar Babaji and later on the Guru of Shri Yukteswar Giri (who again was the Master of Paramahansa Yogananda, the author of “Autobiography of a Yogi”). The Ganga Aarti is a spectacular event that is highly sought after by national and international tourists and pilgrims. You can witness the ritual quietly or join the crowds chanting with them in devotion.